3Deers.com, LLC is a developer of web sites assisting clients with SEO (Search Engine Optimization), relevant articles, and social media content. 3Deers utilizes word press to create web sites for its clients. They also works to establish clients on social media via Facebook Pages, Twitter, etc. 3Deers will also help with content creation until such time as the client is ready to take that over. Black Friday Homeless Feeding Article : This blog host was requested from this non-profit as a way to add content to their website with the goal of building up readers. Ft. Lauderdale Blocks Homeless Feeding Article : This article was requested to create content in response to the Ft. Lauderdale Ordinance that banned the homeless feeding. The goal was to raise awareness for this issue and for this specific non-profit. St. Laurence Chapel Facebook Page : It was suggested by 3Deers that St. Laurence Chapel would benefit from having a presence on Facebook. The goal was to raise awareness for themselves and their cause. 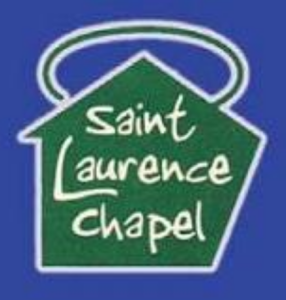 St. Laurence Chapel is a Non – Profit day shelter for the homeless. They provide services such as transportation, basic needs, emergency needs, nursing care, case management, and are SLC partners with Holy Cross Hospital. They try to feed as many of the homeless as they can and receive support from a few of the churches in the area. Fresh Local Food…..Agriculture……Delicious…..Agrilicious! : This article was requested as a way to add content to the website. The goal is to build up the blog with guest writers and to increase the amount of readers that visit the site. OK2BeGreen Facebook Page ; It was suggested by 3Deers that OK2BeGreen would benefit from a Facebook page because they would be able to increase their following and visits to their website. OK2BeGreen is a blog that was created by a family attempting to go green within a budget. One thing that has also been clear about going green was how expensive it can be. The Goal of Ok2BeGreen is to show people, there are some things they can do to be environmentally friendly, such as DIY projects, to keep it affordable.